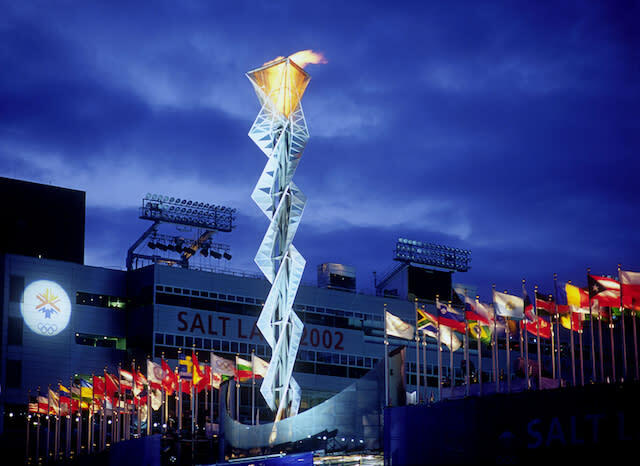 The 2002 Winter Olympics in Salt Lake City brought a buzz that was unprecedented in a state known for its sobriety. 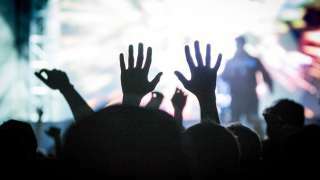 Every citizen found a spirit and sense of local pride beyond anything they&apos;d ever known, and volunteers lined up in droves to get in on the action. Facilities were erected. People assembled. A flaming cauldron and sculptural arch took shape on the hillside above downtown, visible from all over the valley. We Utahns found an enthusiasm for the Olympic games&apos; sheer magnitude, and our threshold for excitement and unity grew accordingly. (It sounds quite sentimental, but it&apos;s true.) Our state emerged with a fresh connection to the international stage, and, as a much-appreciated bonus, our liquor laws evolved from their Prohibition-Era leanings. Over a decade later, locals and visitors alike can enjoy all the facilities developed for those 2002 Games. Each venue remains in place and has been repurposed for everyone from local school kids to professional athletes to use. Each place is both a monument to mind-blowing athleticism and a resource for those who want to experience the thrill of the Games firsthand. Here are a few of the places where you can still get a taste of the Olympic-scale excitement. The beautiful University of Utah went all-in on helping to host the 2002 games. Not only did the school house the athletes in its dormitories, but the university stadium was the site of the spectacular opening and closing ceremonies. You can still find fun evidence of the games all over campus, but head to the Olympic Cauldron Park for the real highlights. Adjacent to the stadium, this beautifully landscaped area is home to the Olympic Cauldron, a stunning 72-foot-tall sculptural masterpiece constructed of 738 individual pieces of glass. During the Olympics, the glass and metal cauldron at the top featured a fire that burned at 900 degrees Fahrenheit. The theme of the 2002 Olympics was Light the Fire Within, and this cauldron stands testament to that motto. While you&apos;re there, stop inside the visitor&apos;s center where you can check out an impressive gallery of photos and mementos from the games. 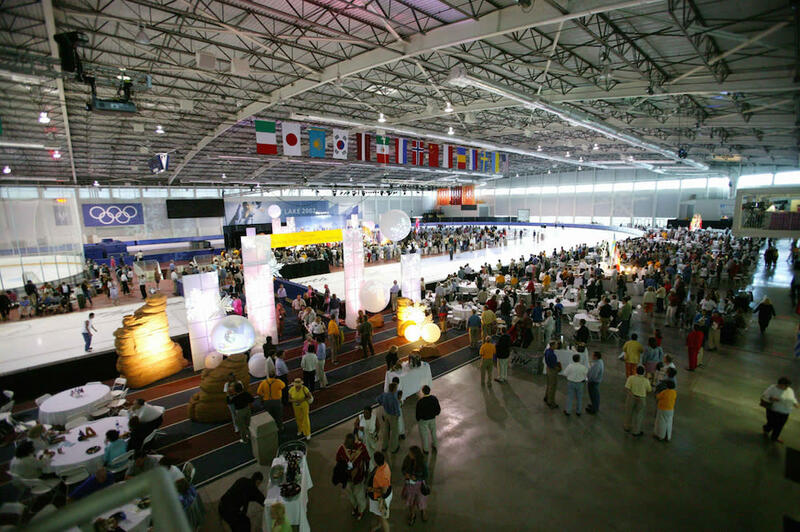 This exciting facility sits about 20 minutes outside downtown Salt Lake and was purpose-built to host the speed-skating events for the 2002 games. The Olympic Oval garnered true fame because, thanks to the low air resistance that accompanies Salt Lake&apos;s high elevation, nine world records for speed-skating were set on this ice. The facility was built with the long game in mind, though—long after the Olympics, it stays busy as the setting of many an athlete (and community kiddo) practicing their speed skating, curling, and figure skating. There are even regular Cosmic Curling nights where you can practice curling on ice illuminated by black lights and neon lights. You can stop in during public skating hours to ice skate, or hit up a Cosmic Skating night, which features a live DJ, Utah&apos;s largest disco ball (obviously) and plenty of laser lights. 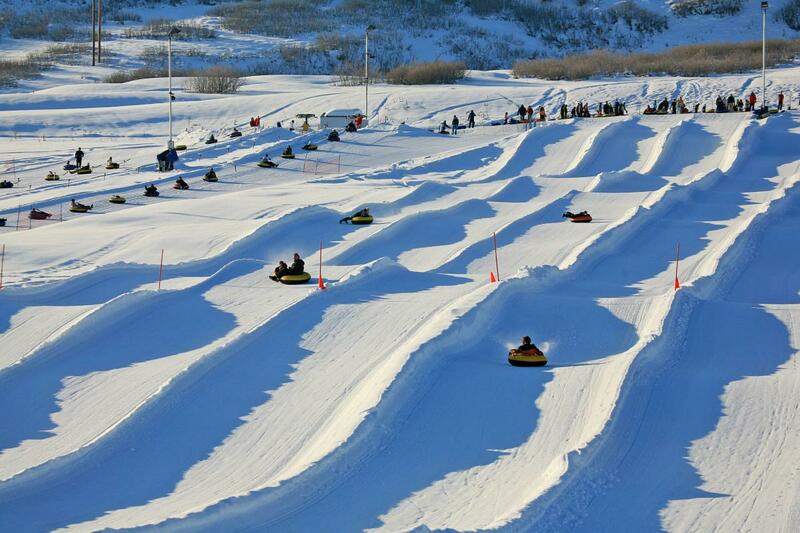 Head 25 minutes uphill from Salt Lake toward Park City and check out the Utah Olympic Park, site of the bobsleigh, luge, ski jumping, skeleton, and Nordic combined Olympic events. Not only is there a fantastic Ski Museum and day lodge, but there are plenty of activities for us non-Olympians to check out. In the winter, you can pay to have a professional bobsled pilot take you and a friend down the Olympic bobsled track. (Yes, it&apos;s as exciting as it sounds.) 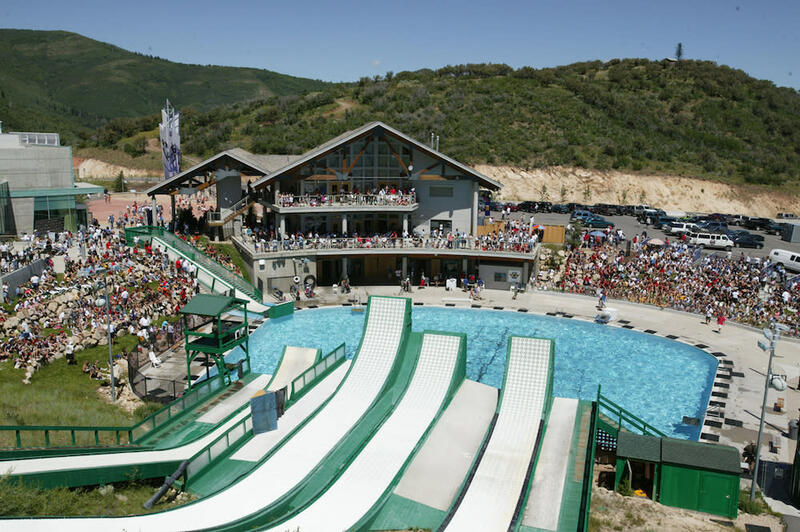 There&apos;s also a summer aerial training splash pool where skiers can soar off a jump, practice a trick, and plunk into the swimming pool&apos;s forgiving waters. Top athletes and young kids both train at this facility, which makes it possible for locals to really push to the top of their winter sports game (and, sometimes, rise in the ranks to true prominence). The facility is also home to a few truly fun rope courses enjoyable for both adults and kids, as well as a Drop Tower that includes a 377-foot-long zip line through the mountain treetops. At the end of the zip line portion of the ride, you have to step off a platform for a thrilling 65-foot free fall. The Olympic Park is truly a place where anyone, top athlete or normal human, can test their mettle and enjoy a little adrenaline high. 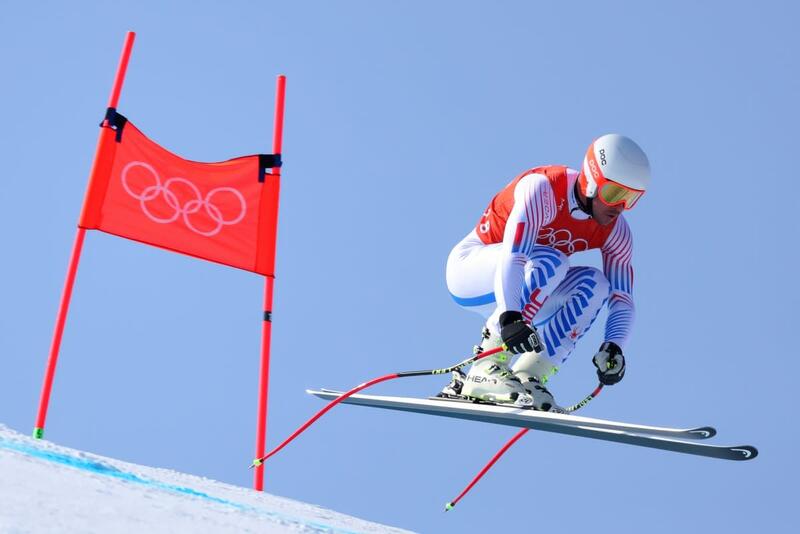 Just a few minutes up the road from the Olympic Park is Soldier Hollow, which served as the setting of the Olympics&apos; cross-country skiing and biathlon events. The Salt Lake area has grown into the perfect hotbed for winter sports champions, with the mountain terrain and outdoor culture combining into the ideal incubator. Just Westminster College, a private university in Salt Lake, sent 18 athletes to the PyeongChang Olympics—which means that almost one out of every ten athletes on Team USA hailed from this one little campus where skiers, skaters, and jumpers congregate, study, and excel. Every major Salt Lake Olympics facility remains in use today, where coaches and trainers encourage the next generation of Olympians to hone their craft. And, luckily for all, their days off can be spent skiing Utah-grade powder. Because, if we&apos;re being honest, that might be all of our favorite thing.